At the mercy of busy days and a hectic lifestyle, dry skin is at risk of burnout: this non-stop cream for fine lines preserves the youthfulness of overworked skin. New-generation technology combines the power of plants with the latest scientific breakthroughs to offset the appearance of fine lines and visibly diminish wrinkles. This anti-ageing cream instantly erases signs of tiredness: the skin is intensely nourished, radiance is boosted and vitality is preserved. Hour after hour, day after day, show off skin that is glowing with youth! 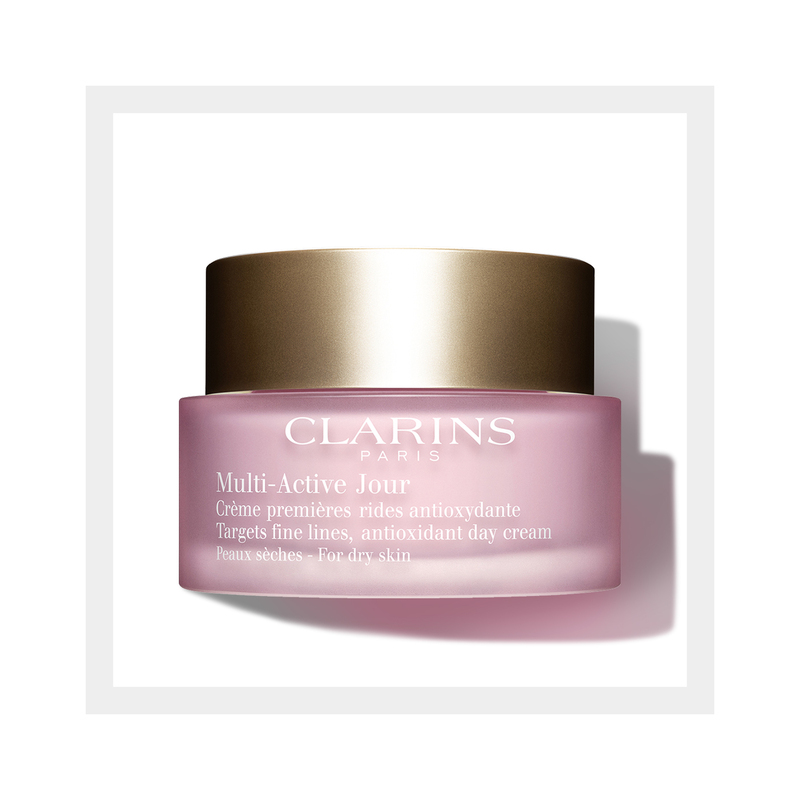 Clarins Anti-Pollution Complex protects the skin from harmful environmental effects.